Pico is the second largest island and is one of the most beautiful and underrated island of the Azores. . The Mountain Island stands majestically in the middle of the Azorean central group. Pico is an island in the Central Group of the Portuguese Azores noted for its eponymous volcano, Ponta do Pico, which is the highest mountain in Portugal, the Azores, and the highest elevation of the Mid-Atlantic Ridge. In the tradition of the Portuguese poet, Raul Brandão, Pico is referred to as the Ilha Preta (“Black Island”), for its black volcanic earth, responsible for its UNESCO-designated historical vineyards that allowed the development of the island. 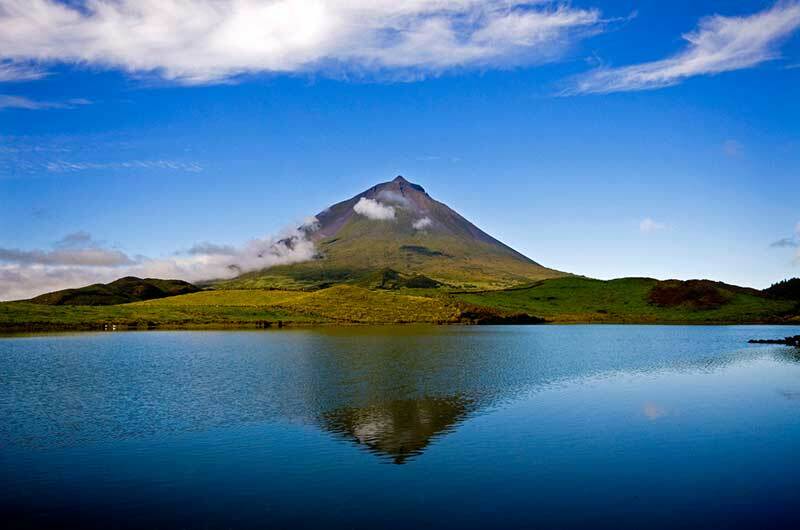 Pico island, named after it’s imposing mountain, is one of the most beautiful and underrated island of the Azores. Pico is the second largest island. The ‘Mountain Island stands majestically in the middle of the Azorean central group, at about 4.5 nautical miles from Faial Island and 11 miles from S. Jorge Island. It is approximately 167 square miles (433 km2). Pico island history was built on the destiny of is whale hunting and winery traditions. The famous Pico wines and the UESCO world patrimony designated vineyards, as well as wooden boat building, are contemporary fixtures of Pico. Whale hunting, long gone, gave way to a movement of fair treatment study and observation of whales, dolphins, and other sea mammals. Whale and dolphin watching trips can be organized from Madalena or Lajes. Volcanic eruptions ended 300 years ago and Pico is considered a dormant volcano, adding to the mystique of the island, and serving as a magnet for scientists. The Pico island landscape is a sublime mixture of lava rock and exotic vegetation in an ever changing scenery that envelopes this scarcely populated island. Pico features some of the best swimming holes in the Azores, and every so often an occasional sand beach appears. Pico is also the ideal island to trek, hike, jog, walk, bird watch, whale and dolphin watch, swim, fish, ride bikes and moto-quad bikes. Speleology is also a favorite pastime of Pico and its visitors. Pico is an Island where calm and peace can be found around every corner, yet there’s always the choice of escaping to the village and experience the bustling culture or the occasional festival. Trips to Faial and S. Jorge are one ferry trip away. While it takes no time to know the smaller Faial Island, it takes a long time to get to know Pico as it is the type of destination where one must get out of the car to explore all that it has to offer. Quickly, the viticulture industry, helped by the rich soils and microclimates had allowed to expand the lands cultivating grapes. Its development would occur uninterrupted along the margins of history except for volcanic eruptions during the 18th Century; the viticulture and “orange cycle” would expand the activities on the island throughout the period. In 1723 Madalena is elevated to the status of “town”, confirming its economic importance to the island, and its commercial links to Faial (Horta had been the residence of many of the island’s property-owners and winemakers). Pico’s famous verdelho, for more than two centuries, was appreciated in many countries (including England and in the Americas and even reached the palaces of the Russian czars). But, the spread of powdery mildew and phylloxera during the middle of the 19th Century destroyed many of the vineyards creating a crisis on the island that lasted until the 20th Century. 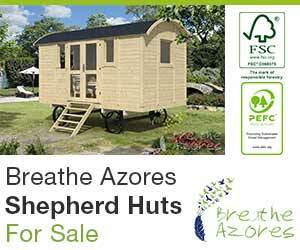 The presence of American whalers in the waters of the Azores introduced a new economy at the end of the 18th Century that would serve to stabilize the economy, until new casts were introduced on the island. Whaling became the primary industry around the island until the 1970s. Pico Volcano – It occupies the western portion of the island, and corresponds to the central volcano with a 2,341-metre (7,680 ft) altitude. Along its flanks are diverse lava and spatter cones that are formed along radial fractures and faults. Generally, the island of Pico’s tectonic structures are oriented along a west-northwest to east-southeast and a northeast to southwest axis. The main axis controls the main structures, especially the main mountain of Pico, while the secondary axises affect the radial fractures and faults along the central plain and eastern volcano. Volcanic Complex of Lajes – pertains to the oldest volcanic structures, comprising volcanoes, lavas and debris that are between 35-300,000 million years old; it makes up the structures of the eastern part of the island, including the ancient volcano of Topo. Volcanic Complex of Calheta de Nesquim – dating to about 230,000 million years ago, this is a fissural zone of cones and basaltic lavas, associated with the Achada Plain, and the many faults along the central plateau of the island. Volcanic Complex of Madalena – the most recent volcanic complex, with both geological and historical eruptions; it includes the basaltic stratovolcano of Pico, but also many of the cones, faults and lava fields that circle the 2,351 meter summit. The last volcanic eruption (which is debatable) occurred in 1963, in a small submarine eruption off the northwest coast (north of Cachorro in Santa Luzia). Prior to this, major volcanic activity was only evident in lava fields generated in the areas of Prainha (1562–64), Santa Luzia (1718), São João (1718) and Silveira (1720). The paths of the lava flows are still visible, those in the 16th Century and 1718 were particularly substantial, extending for over 10 km. Today, the only visible evidence of active volcanism appears on the summit of Pico, in the base and interior of the Piqueninho (the mini-peak on the summit); there are irregular emissions from cracks in this zone. Additionally, there are emissions on the eastern flanks between 1500 and 2000 meters altitude. There have also been found areas of de-gasification along the a fault associated with the Lagoa do Capitão and another in the Topo Volcano, as well as a spring rich in CO2 in the area of Silveira. Pico, much like the other islands, are susceptible to seismic events, although their epicenters have primarily been localized in the Faial-Pico or Pico-São Jorge Channels. The strongest earthquake registered in the last 30 years occurred on July 9, 1998, and had its epicenter 5 kilometers northeast of Ponta da Ribeirinha, on the island of Faial, reaching a 5.8 magnitude. It was felt on Pico, with a maximum intensity level of VII on the Mercalli scale; some homes were damaged and possessions were buffeted. Other violent earthquakes which have affected the island include: the 1957-58 seismic events associated with the eruption of the Capelinhos volcano (on Faial), the February 1964 earthquake on the island of São Jorge, and the 1926 earthquake, whose epicenter was registered in the Faial-Pico Channel. Red and white wines that are produced in Pico are known and appreciated throughout the whole of the Archipelago. Recently, efforts have been made to recover the past heritage of the verdelho wine production. The wine cooperative can be visited in Areia Larga. It stores the local wine production that is already made from new types of grapes. The fig and loquat spirits also have some fans, and old copper distillers in working condition can still be found. Liqueurs such as Angelica and other fruit liqueurs are on offer for those with a sweet tooth. Pico island has always been a big producer of fruits. Its figs once opened are a bright scarlet red inside and are very famous. Local honey is produced from the flower of the Australian cheesewood and the soft cheese (made from cow’s milk) from São João is delicious. There is a wonderful Octopus dish, stewed in cheirowine, sausage with taro root, boiled beef and fish broth. Torresmos de porco (small browned rashers of bacon), morcela (blood sausage), linguiça com inhames (Portuguese sausage with yams) and molha de carne (a meat speciality) are the main dishes of a cuisine which, with caldo de peixe (fish soup), delights all food lovers. Those who like shell-fish will find lobsters, deep-water crabs and cavacos on many menus. Massa sovada (sweet bread), rosquilhas, vesperas and arroz doce are the typical sweets of the island, connected with the Holy Ghost Festivals. Grown on the rich lava soil, sheltered from the wind by walls of rough, dark stone and warmed by the golden rays from the sun, the grapes acquire a sweetness and taste of honey. Once squeezed, they produce a dry white wine with an alcohol content of around 15 to 17 degrees. After ageing this serves as an excellent appetizer. The red vinho de cheiro whose presence is compulsory on tables on feast days.